Cooperative Children’s Book Center Choice 2009. A Booklist Top 10 Sports Book for Youth. 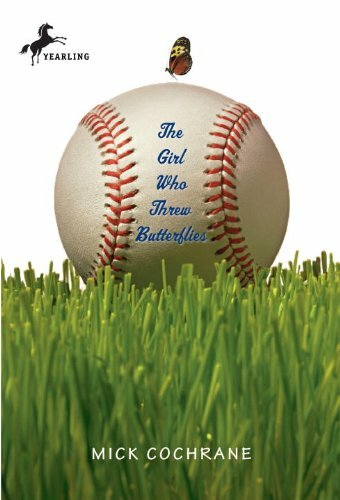 "Mick Cochrane hits one out of the park in this poignant, pitch-perfect novel…Readers won’t soon forget the unmistakable voice of Molly Williams with her wise-beyond-her-years observations about parents, about school, about boys, about baseball and the hole left in your life after you lose someone you love. Library shelves and publishers’ catalogs are stuffed with all manner of middle-grade and young adult novels about all manner of serious topics, but rarely is one so beautifully crafted, so full of wise and witty turns of phrase and insights about the human condition." The Girl Who Threw Butterflies was one of four spring books recommended for young readers by USA Today. Click here to read the article.